I made ginger ale, orange lime, plain orange, and plain lime so far. They are tasty and refreshing with much less sugar and chemical additives than commercial pop. This means they don't always look like they taste. My orange soda, isn't all that orange. In fact, it looks kinda like lemonade. They are extremely simple to make, 20 minutes from start to end of clean up. Start by bringing to a boil equal parts sugar and water. Add whatever flavour you want. 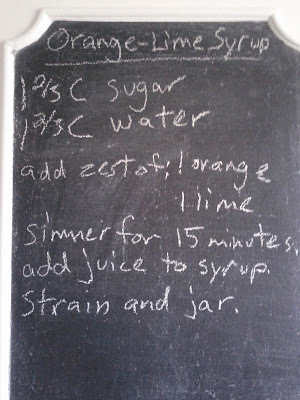 Citrus zest in this case, or you can use thinly sliced ginger, rhubarb, peach, anything really. Simmer for about 15 minutes until the liquid has roughly reduced by half. With the citrus version, I added the juice for extra freshness. 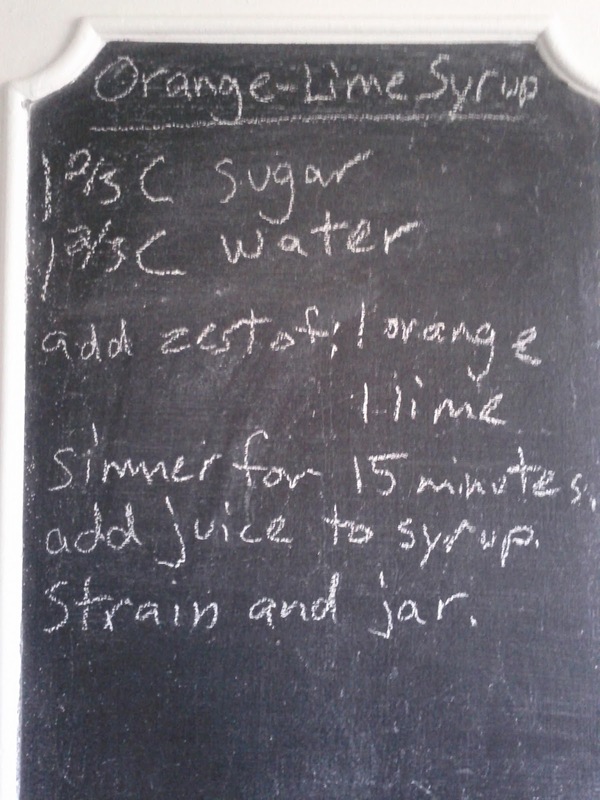 Strain to remove pulp and zest, and store in a jar or bottle until you want to use it. It will keep in the fridge for some time as sugar is a natural preservative. You now have flavoured simple syrup to add to anything your ambitious and experimental taste buds desire. I add it to carbonated water with lots of ice. I like 2oz per 16oz glass. mistaking its flavour. 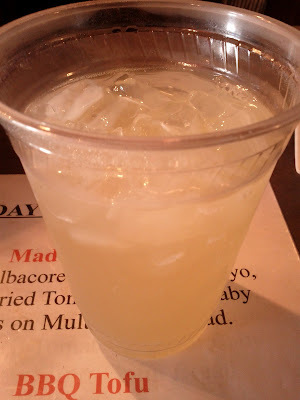 Refreshing, simple, and delicious!